Urban agriculture is becoming to be the ‘in’ thing. And it is not just the usual growing of vegetables, ornamentals and fruits. Animals which are often associated with foul odor can also be grown in thickly populated urban areas. Of course, not all farm animals are suitable for raising in the urban setting. But there are a number which can be raised without the neighbors complaining. One of them is quail raising. Gil SP Garcia who is president of a big company that manufactures animal feeds has come up with a practical module for quail raising in urban homes. The module was showcased at the Agri-Kapihan on October 25 at the AANI Agri-Bazaar at the Quezon Memorial Circle in Quezon City. Jeffrey dela Cruz, Agrichexer’s quail expert, conducted the lecture on urban quail raising at the Agri-Kapihan, bringing with him a double-deck wire cage that can accommodate 30 layers and 10 males to mate the females. Although the female birds will lay eggs without any males to mate them, many believe that fertile eggs are more healthful than those unfertilized eggs. That’s also the belief of many Japanese and Korean consumers who prefer fertilized chicken eggs. They say a fertilized egg has more healthful attributes. According to Jeffrey, the 30 layers can produce enough eggs that one family needs in their daily diets. It is also possible for them to sell some of their eggs to their neighbors. In fact, if they are business-minded, they could take care of more cages to increase their production if they think there is a demand in the neighborhood. Only a modest capital is needed to start a quail raising project in the city. 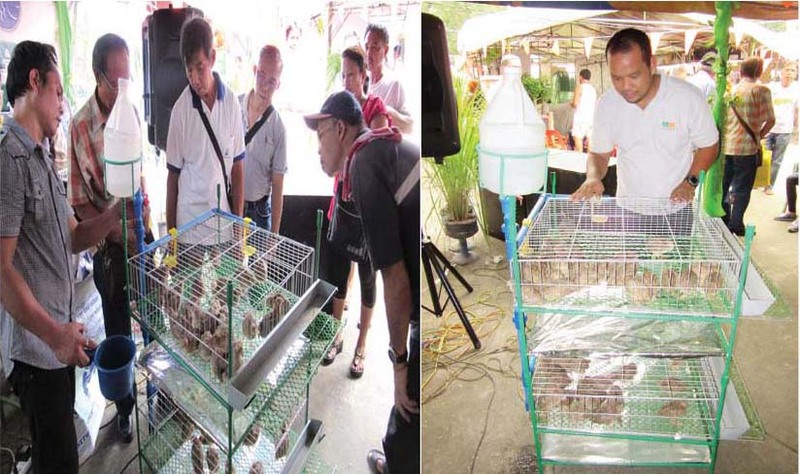 The cost of the cage, the birds (it could be ready-to-lay birds), feeds and miscellaneous expenses could amount to just P3,450. The amount can be recovered in just several months. Usually the cost of producing a quail egg is about 80 centavos, according to Jeffrey. The market price ex-farm is P1.25 apiece. So there is a 45-centavo margin per egg. In urban quail raising, the monetary profit may not be the paramount consideration. It is having a supply of fresh eggs that is probably more important. If more urbanites will produce food, especially healthy food, then food security is enhanced. Even if there are areas that are struck by disasters and they cannot deliver the usual commodities to the metro areas, there will be food available from the urban farmers. The Agri-Kapihan is a highlight of the three-day monthly AANI Agri-Bazaar that is held on a Friday to Sunday every month at the Quezon Memorial Circle. In last Sunday’s Agri-Kapihan, Antonio Rola, a co-host of the award-winning Kaunlaran Sa Agrikultura radio program, expounded on the mango industry as well as the rice industry. We also shared our own observations on the rice industry which we were able to gather at the Rice Future Forum that we attended in Ho Chi Minh City earlier. Rola debunked the myth that the Thai and Vietnamese rice farmers are better than local farmers as rice producers because their experts studied in Los Baños. The truth is, the rice yields in Thailand and Vietnam are lower than those achieved by many Filipino farmers. 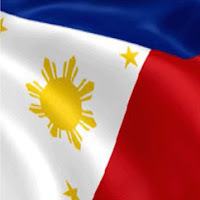 Their only advantage is that the two countries have much bigger areas planted to rice and the areas are contiguous because the two countries are not archipelagos like the Philippines. Transport of their rice produce is therefore much cheaper. Another reason is that the population in the Philippines (100 million plus) who have to eat rice is much bigger than the 68 million in Thailand. Porfirio ‘Pio’ Rodriguez also made his spiel about the practicality of converting manure and other biodegradable materials into biogas. He has developed an above-ground biogas digester consisting of four plastic drums, good for household use. Six to 10 swine fatteners can provide the manure that will be enough to generate gas for cooking in the home. Of course, there are big biogas installations that can generate electricity for industrial or community use. We remember visiting some years back the huge biogas system of Brookside Farm in Tarlac which was supplying electricity to the grid. The farm uses its electricity to power its own feedmill and its lighting requirements. In fact, because of the availability of practically free electricity in the farm, the company thought of fabricating welded steel crates and cages for swine and poultry farms.